Cap is ready. Are you? Premier heroes deserve Premier Collection Statues! 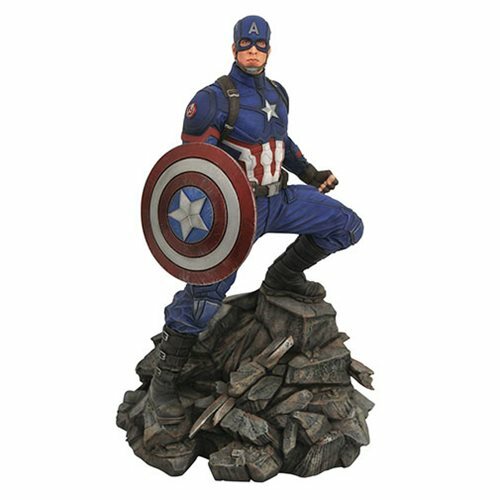 The Marvel Premier Avengers: Endgame Captain America Resin Statue comes to you in 12-inch scale and depicts the Captain America as he appears in Avengers: Endgame. Limited to only 3,000 pieces, the statue comes packaged in a hand-numbered, full-color box with a certificate of authenticity. Captain America sculpted by Jorge Santos Souza.